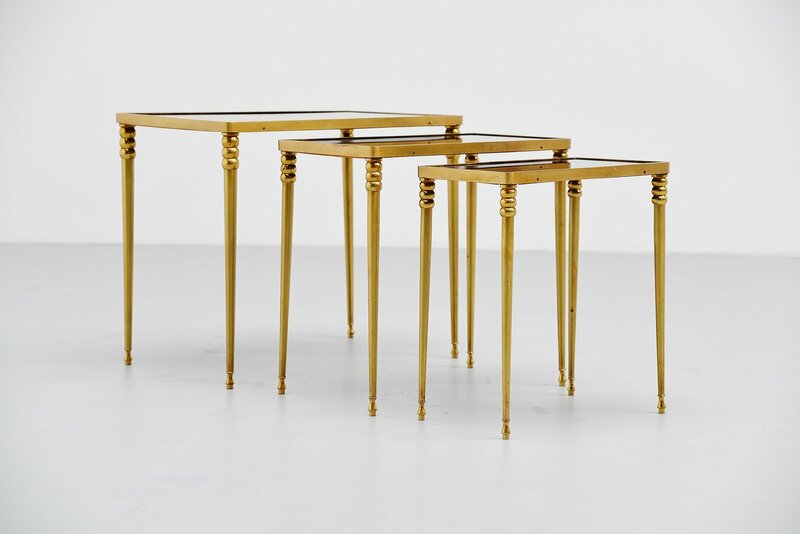 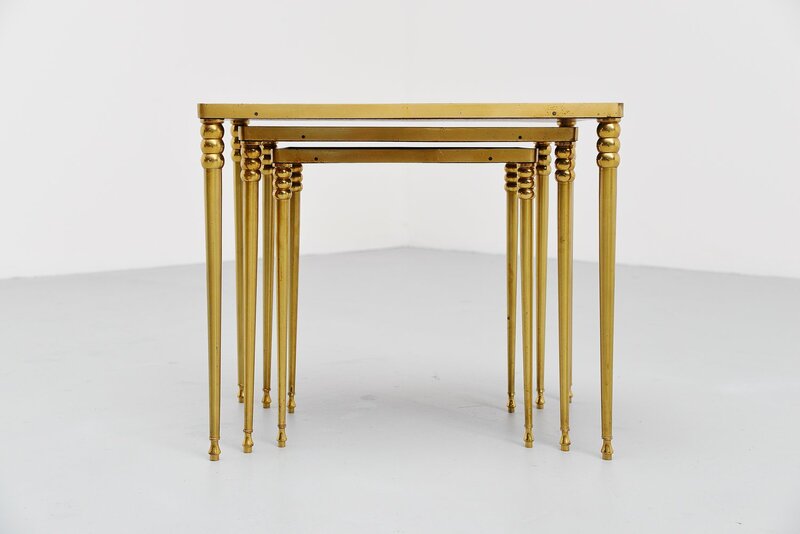 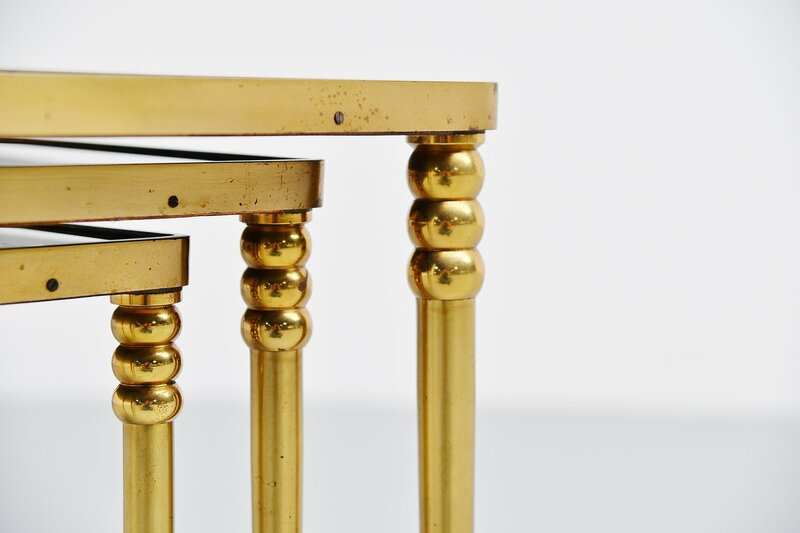 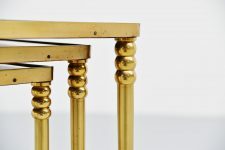 Very nice set of 3 brass nesting tables made and designed by Chiavari, Italy 1950. 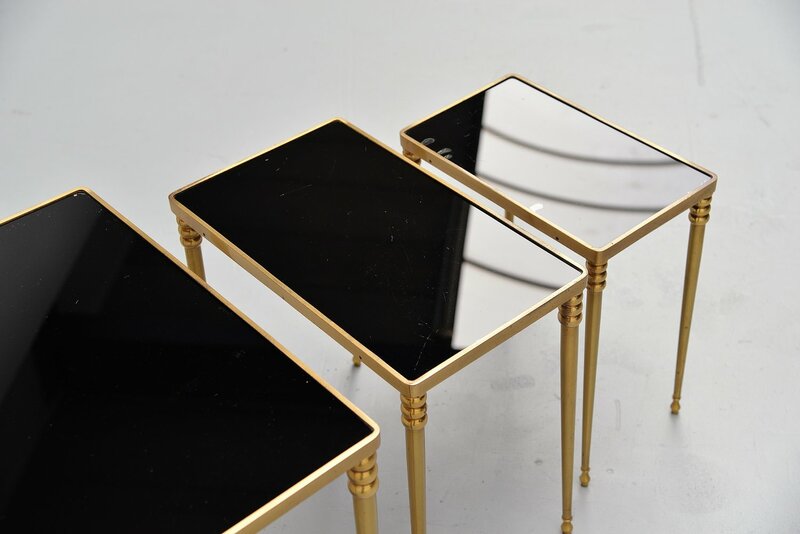 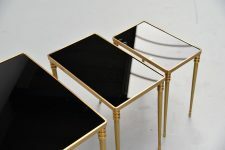 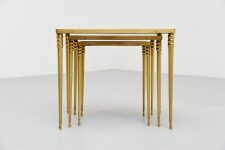 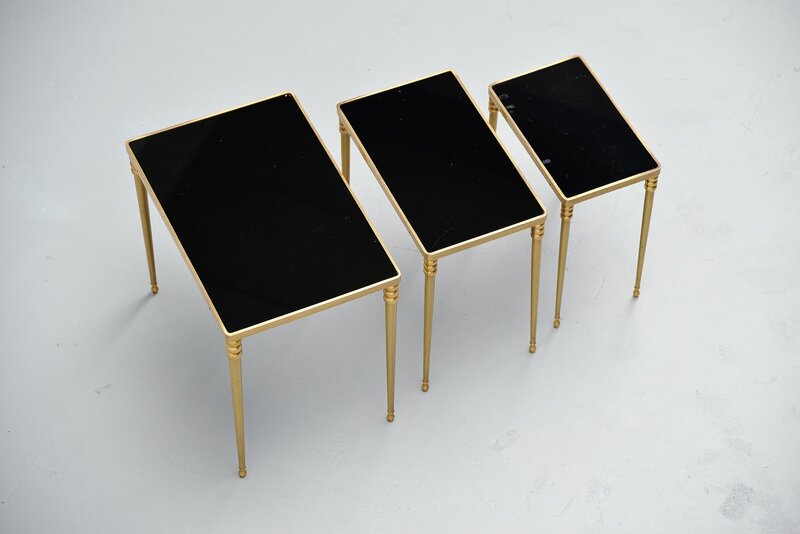 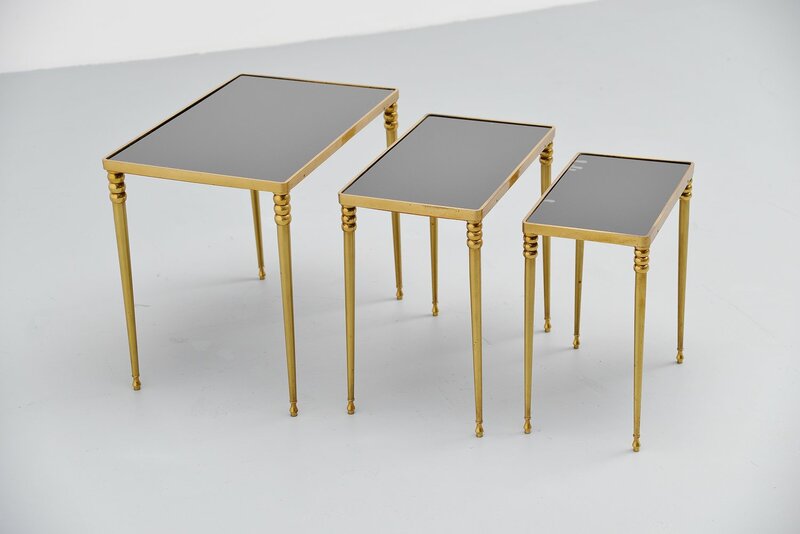 These tables are made of solid brass and have glass tops with black background. 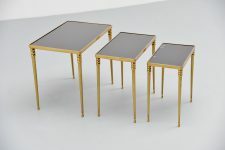 The tables are nicely made and the legs come off for easy shipping. 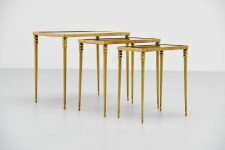 Hard to find set of Italian nesting tables.